Necessity knocked in the form of the Kathmandu Litehaul V3. A 38L carry on back pack (Perhaps styled after the Tortuga carry on). The Kathmandu Litehaul is a wonderful travel companion. Ive put it through its paces and can fully recomend it for the price bracket. The bag is configurable in multiple fashions. It can be used as a traditional backpack with hip strap for extra heavy loads or long haul hiking. It can be used with the back pack straps covered away as hand baggage or as a single stap shoulder bag. 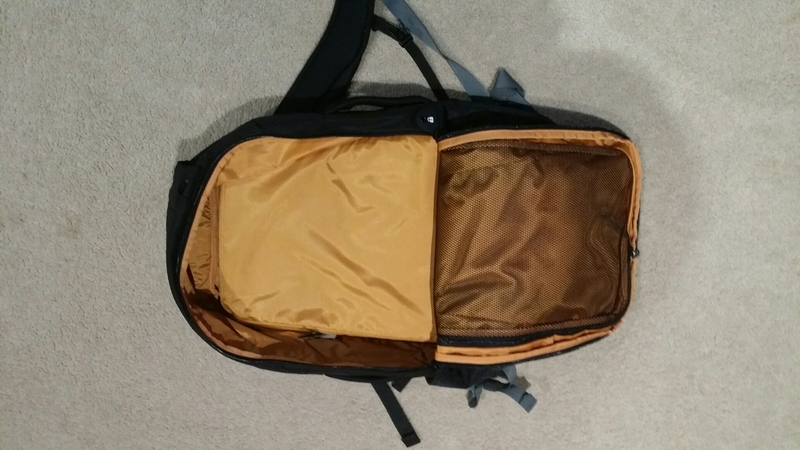 The main compartment is generous for any beginner or seasoned carry on only converts and several other well placed pockets fill out a well put together unit. The bag is constructed from a high quality, tough, synthetic with padded handles and over engineered stitching. The laptop compartment is extremely well padded and can even stretch to hold a few 12″ vinyl LPs, if you’re into that. Complaints against the bag are trivial. The outside (easy access) front pocket is not very user friendly in action. With a packed bag it does not allow room to retrieve anything that was placed into the pocket easily. Even with minimal gear on board the location of the zip on the side makes it very difficult to reach the bottom of this very long pocket. The padding in the laptop sleeve area is very stiff and protrudes into the sunglasses pocket. This makes storing your shades abit of a pain/crush zone risk. Tightening strapping oversight – with clasps reversed on one side of the squish down straps they could have been an added feature, think – skateboard/sporting gear holder strap (This could be modded to work … stay tuned for Cabin Carry hacks). 7.5/8 a strong performer and a solid investment for the price. Do yourself a favour, pick one up and go explore. 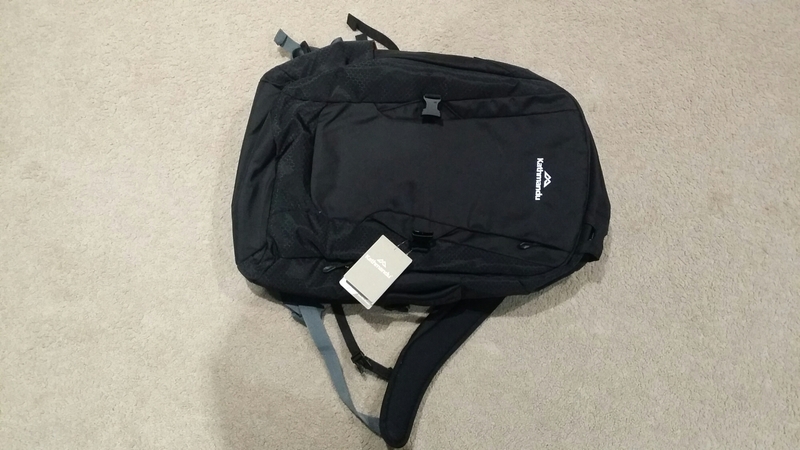 Kathmandu also have an ebay store with sale prices. Look forward to any improved versions Kathmandu may put out.